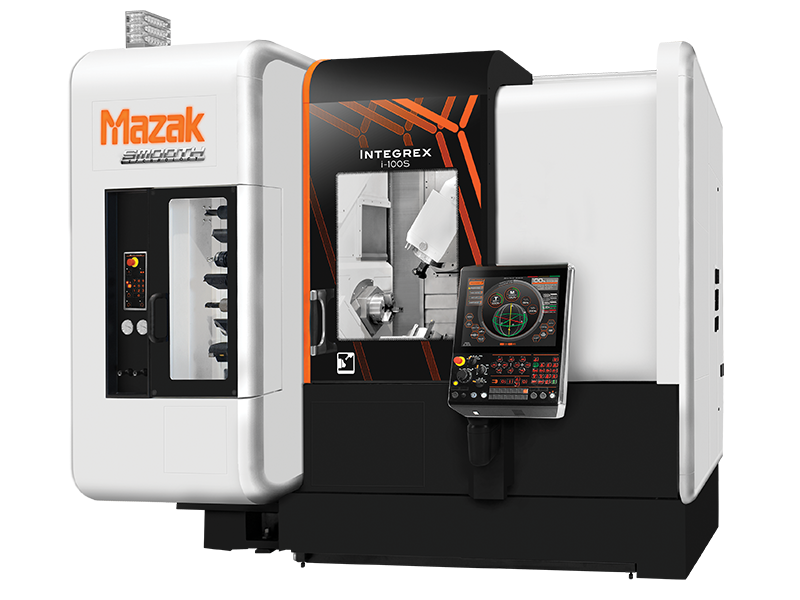 INTEGREX i-100S advanced Multi-Tasking machine delivers maximum versatility, high precision and throughput for smaller complex parts. The machine combines the capabilities of a high-powered turning center and full-function machining center to produce parts in single setups. This machine configuration features second turning spindle (S) for Done-In-One machining and works to minimize fixtures, tools, handling and non-cut time. Additionally, the machine brings dramatic reductions in lead-time, and improves part accuracy through the elimination of multiple setups. With full 5-axis capability, the machine easily processes fully prismatic parts from solid or castings (chucked or bar fed work), round parts, or highly contoured sculptured parts.